In 1966, one adventurous Hyde Park curator took a chance on a group of unknown graduates of the School of the Art Institute of Chicago. 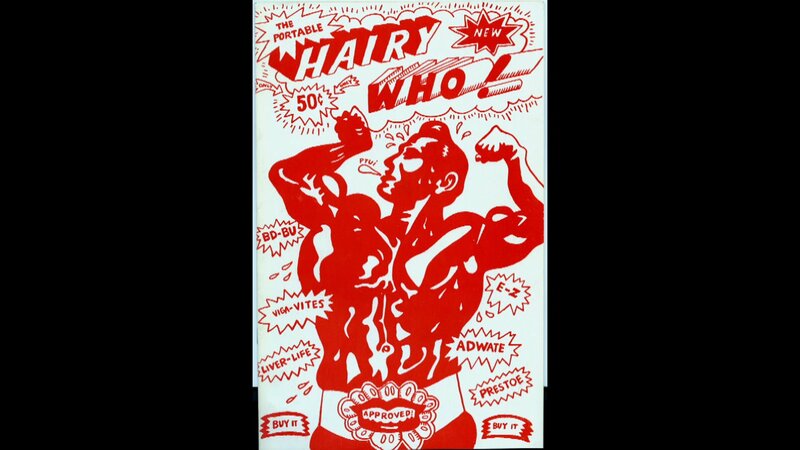 Calling themselves Hairy Who, they gave Chicago a visual arts movement to call its own. Hyde Park Art Center Archibald Motley, Jr.
February 25, 1966, Chicago. Two years earlier, the Beatles touched down in the United States for the first time; two-and-a-half years later, the 1968 Democratic Convention would give rise to protests and charges of police brutality on the city’s streets. In the middle of a fervid decade, Hyde Park, seven miles south of the Loop, would become the site of its own mini-revolution: the birth of the Chicago Imagist movement. The story starts with Don Baum, then the curator of the Hyde Park Art Center. An artist himself, he had been part of the Chicago-based Monster Roster, artists who resisted the dominant trend of abstractionism to create haunting, psychological works that unflinchingly engaged with postwar trauma. Baum was well connected, energetic, and willing to take chances. “I always felt my role was to permit,” he later said of his curatorial philosophy. Meanwhile, two young graduates from the School of the Art Institute (SAIC) were interested in launching a different kind of exhibit at the Hyde Park Art Center. Jim Falconer and Jim Nutt proposed to Baum that he exhibit small groups of artists, allowing each artist to show multiple works. 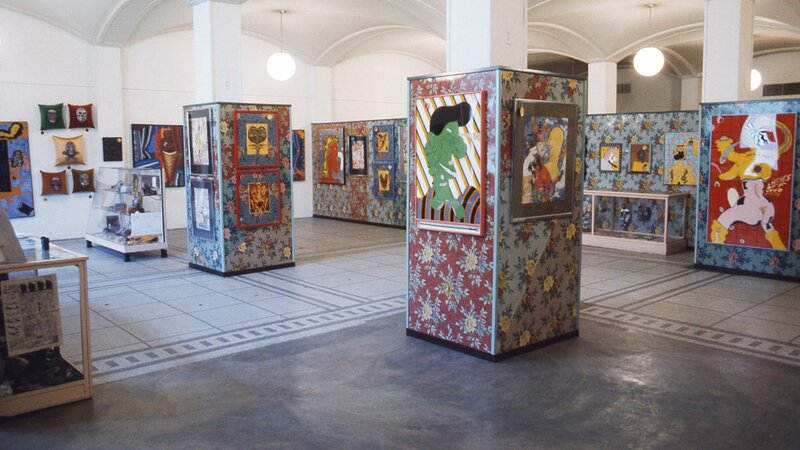 (At the time, shows at the Hyde Park Art Center often showcased dozens of artists in a single exhibit, with only one representative work each.) Falconer and Nutt even had a group of fellow SAIC grads ready: Art Green, Suellen Rocca, and Gladys Nilsson. Baum agreed, and suggested they add Karl Wirsum, also an SAIC grad, to their ranks. Hairy Who, minus Jim Falconer, as pictured in the Chicago Daily News, March 11, 1967. “Basically we were individual artists who saw an opportunity to make an impact and have fun with what we produced by exhibiting together,” Nutt recalled in the 2014 documentary, Hairy Who and the Chicago Imagists. All of the artists except Wirsum already knew each other. One day, the six gathered in Nilsson and Nutt’s basement apartment. The radio was playing WFMT’s “Critic’s Choice,” a program hosted by longtime art critic Harry Bouras. The group liked to ridicule Bouras; Wirsum, out of the loop, asked: “Harry who?” Everyone burst out laughing, and with just one spelling tweak, the name stuck. The artists remembered 1960s Chicago as a somewhat staid city whose visual arts scene had been slow to embrace the countercultural spirit of the decade. New York City had already hatched pop art, which took familiar, even “lowbrow,” subjects and reimagined them in colorful, emotionally distant renderings. 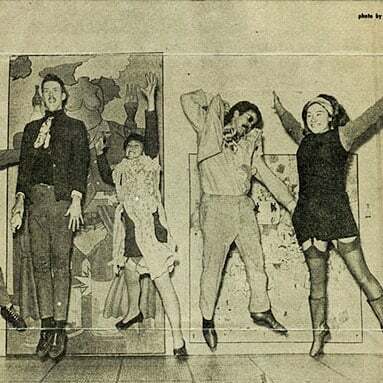 In 1968, two more groups exhibited at the Hyde Park Art Center, the Nonplussed Some and False Image. Like Hairy Who before them, these groups were teams of recent SAIC grads. Both the Nonplussed Some and False Image considered themselves distinct from Hairy Who, though all three groups were united in their surrealism and quirky humor. 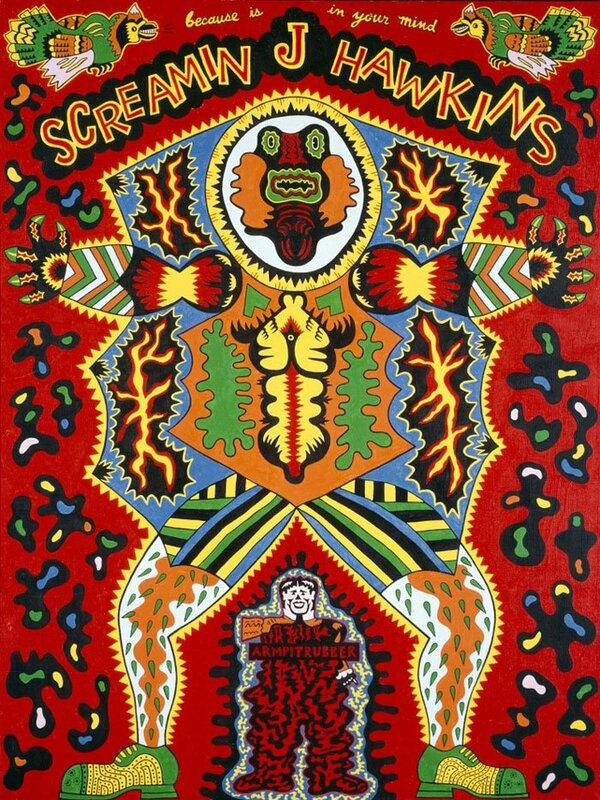 The groups became collectively known as the Chicago Imagists, and a movement was born. Besides their inimitable style, the Chicago Imagists were unique for the higher-than-average number of female artists among their ranks. In Hairy Who alone, one-third of its artists were women, a proportion reflective of the movement as a whole. As Gladys Nilsson recounted in Hairy Who and the Chicago Imagists, she didn’t think twice about her position as a woman in the group until she read reviews of their exhibitions. “I can’t remember whose review it was…they got to me, and they said, ‘And Gladys Nilsson, the most feminine of the work.’ And that shocked me…because I don’t think of work as being masculine or feminine,” Nilsson said. Today, the Chicago Imagists are known well beyond Chicagoland, though most of its founding friends still live here: Falconer and Wirsum in Chicago, Nilsson and Nutt in Wilmette, and Rocca in Romeoville. However, a reunion is underway: on September 26, 2018, the Art Institute opened its Hairy Who retrospective, introducing a new generation of Chicagoans to an artistic movement they can call their own.